The Wild Rose is a fine dining restaurant in the heart of South Jordan, located in The District Shopping Center. We serve a contemporary American cuisine focused on choice cuts of meat and fresh fish accompanied by classically inspired sauces with a unique flare. We offer a full bar with craft beers and specialty cocktails as wells as an extensive wine list. The Wild Rose has a private dining room as well as patio seating available. The scallops were excellent. I had the swordfish and my husband had the tenderloin. Both were cooked very well and tasted great. Laura was attentive and helpful with her suggestions. We all enjoyed our entrees. The lemon mousse was not a favorite, but that was just a personal taste. The house balsamic salad dressing is very good and the butter is outstanding. We will be back in 10 days! First time dining at the Wild Rose. Very pleased and would definitely recommend. The wild rose was absolutely amazing, the food was spaced out perfectly so you never felt rushed to eat anything. Everything was fresh, cooked to order, and seasoned perfectly. Our only complaint was there was a table close to use that wasnt being respectful to everyone around but still would recommend and we will definitely will go back, well worth the cost. All was great, only wish the noise level was a bit lower. Wonderful meal. The music was delightful. Great service. Loved the Manhattan cocktail, wine list and desert. Great experience top to bottom. Glad to have a fine dining experience (the only one I know of) on this end of the valley. Food is always solid. Best house salad and scallops. Entrees and desserts could use some updating. This is our favorite restaurant. The food is high-quality, the service is always professional, and the setting is wonderful. We highly recommend The Wild Rose. So, we made a reservation but didn't end up needing it since we ate at 5:45pm and no one else was there. The reservation initially told us we had to eat outside since everything else was booked - turned out not to be true. 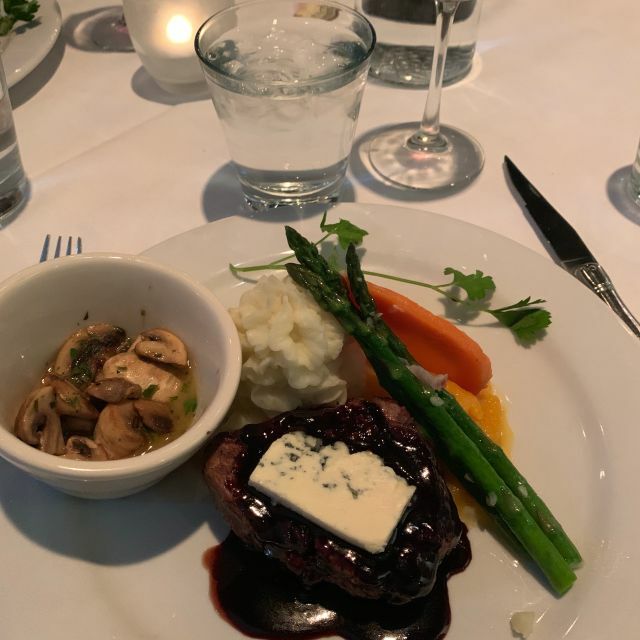 Anyway, the whole reason we went to this restaurant was because reviewers said they had beef wellington - a dish my son turning 18 had wanted to try his whole life. Come to find out that they didn't have it since it needed to be ordered in advance (how would we know that?). Big disappointment. He had pasta instead. The appetizers were great - amazing in fact! Tender scallops with yummy BBQ ribs that melted in your mouth. We also enjoyed the sorbet before the main entree and the house bread. But that's where the good times ended. Our (very expensive) cuts of lamb came out medium well rather than medium rare (as ordered). When the chef remade them, the two cuts came out differently - one very rare (didn't end up eating it at all) and one perfectly medium rare. So, a little inconsistent there. But the hostess took that off our bill, which was very nice. Also, my son's pork chop was extremely thick and overcooked - very dry and difficult to cut. But at this point we didn't want to make another fuss about another entree, so we just dealt with it. For such pricey menu items, it was disappointing that they weren't cooked to perfection. Probably wouldn't visit here again. This was such a fabulous restaurant. Service and food was amazing. Only thing I wish they would have had was Rosé Champagne by the glass... it was a my bday dinner and would have made things perfect since that’s my favorite drink. Other than that amazing ! Have Tiburon many times before. Friend indicated that the Wild Rose had the same owners. Loved the food, loved the adult beverages, loved the atmosphere. Entrees were a little slow to arrive even though restaurant was only half full. Came for a business meeting, will be back with my wife. The Wild Rose never disappoints! Service was amazing and the food was perfect! I will return anytime I’m back in Salt Lake. The food is absolutely delicious. It's a little pricey, but definitely worth it. The ambiance is low light, reasonably quiet, but not cozy. the floor is concrete so it has kind of a cafeteria vibe in that way. The service was solid, no complaints. Thanks for providing a fun date night! The server was friendly and offered good suggestions. The food was delicious and the wine was great too. Having live music made a fun atmosphere! We will be back! 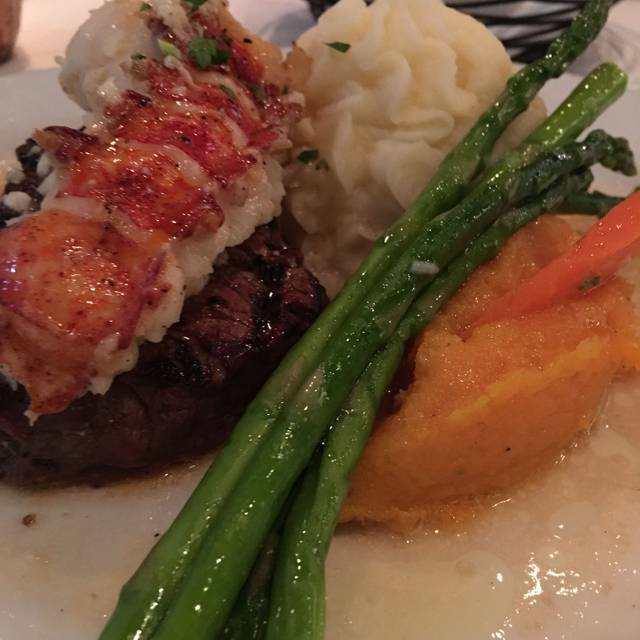 The restaurant is consistently outstanding. It’s a great restaurant to have in our area so you don’t waist an hour getting to and from your date, especially when you have kids waiting at home. Always great food and service, our favorite restaurant. Most excellent as always! We come often and always recommend it to all. Loved every bite and the service was above and beyond. We eat out a lot so we are very picky. The food was excellent. The prices were a bit high but great for a date night or special occasion for us. This is our favorite NON Kid place to eat. The menu is small but they have truly mastered what’s on it. We’d highly recommend this place. We always had a good experience every time we went. Thank you. We had a amazing dinner. I ordered the Beef Tender which is one of their most popular dish along with a house salad. I highly recommend The Wold Rose. I’d put the food at Wild Rose up against any restaurant, anywhere. By far my wife’s favorite. The tenderloin is one of the best I’ve ever had. We LOVE this place. Was introduced to it in November and have been there at least 3 more times in the past few months. The scallops are AMAZING. Great service. Great food. Little spendy, but you get what you pay for. Diamond in the rough fine dining restaurant where you'd least expect it. They do a great job in accommodation and dining experience. Mason was a wonderful waiter. He had recommendations and was very attentive to our table. Food was excellent and presentation was attractive. Pleasantly surprised to get the sorbet after the salad. Nice touch. Loved the food! A bit overpriced, though. Wild Rose was a bit of s surprise as you don’t typically find fine dining in a retail shop area. Main course specials were outstanding and rated 5 stars. However the salads were definitely not on par. Great service and atmosphere. Excellent evening. Service , Food & Music was all fantastic! Thanks for a wonderful evening. If you have two and a half hours to spare on a Valentine's date, this place would be fine. Otherwise pick somewhere else. Food was delicious (Ribeye and Salmon) and they kept the bread baskets coming, since the main course wasn't. I'm glad we're ordered two bottles of wine, to keep us preoccupied and enjoyed the night regardless. Our waitress was a trooper, through it all. So kudos to her!!! Food amazing!! Music awesome!! Little too pricey for every weekend dining. More like only special occasion dining. Reception staff were mediocre in their welcome. We had a very short wait for our table. The server was excellent. She was very attentive. It took too long for the food to arrive, and mashed potatoes were lukewarm and steak wasn’t hot. 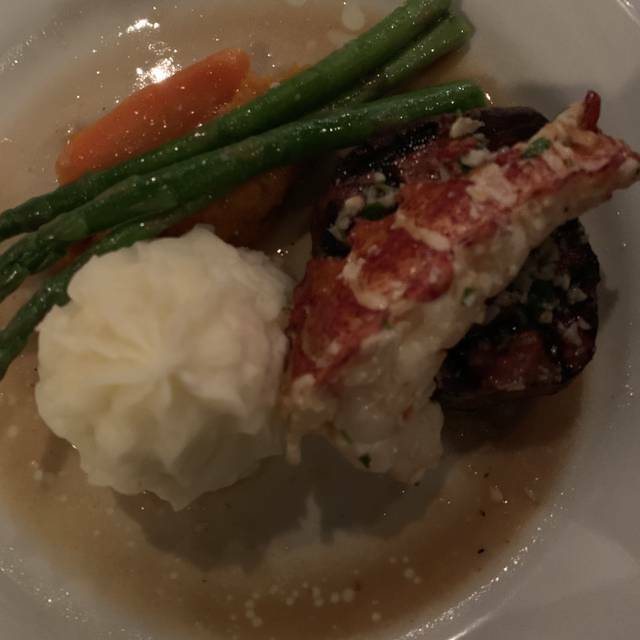 However, the positive was that the flavor of the surf and turf special was outstanding. So I rated the food high due to the chef’s skill in delivering on taste in spite of the temperature issue. The ambiance was good due to the excellent guitarist. The restaurant physical plant is too spare, and surfaces are too hard, producing a high noise level and hindering easy table conversations. The food is excellent but the service is only adequate to sub-par. The tables are a little too close together. The main problem was the wait time. It took nearly 45 minutes for our entrees to arrive and we were in the restaurant for over two hours. That's just too long despite the excellent food. We have been recommending this restaurant since it opened! It is our favorite place to eat when we want to celebrate ourselves! Amazing food! Worth every penny. If you want to experience fine dining and don't want to drive downtown...this is the place! Appetizers, salads, and butter were amazing. But the steak was below average. Great sauce though. We always enjoy our night out here. The food is high quality. We had a wonderful night at The Wild Rose. The staff were warm and welcoming and very attentive . The menu was varied and interesting. The restaurant was bright and spacious and the atmosphere was comfortable and not too noisy. We will definitely go again.